The Buffalo Bills played their Super Bowl on Sunday, and who would have ever thought in the end the biggest benefactor would be the Steelers? The Bills 22-17 win over Ryan Fitzpatrick and the Jets in Buffalo allowed the Steeelrs at 10-6 to reach the postseason for the second straight season. If the Jets would have won, it would not have mattered what the Steelers did on Sunday. Instead with the Steelers win it appears they will be heading to Cincinnati next weekend for a meeting with the AFC North Champion Bengals. “Thanks to (Buffalo Head Coach Rex) Coach Ryan and the rest of the Bills and everybody in Buffalo. I know they’re excited about 8-8 and we’re excited that they got us in,” Steelers QB Ben Roethlisberger said. It was an odd way to get in, but one that has happened before and will happen again. The Steelers blew their own destiny last Sunday when they lost to the Ravens in Baltimore. This weekend was a different story, as they finally were able to put away the game Browns, and then sat back and waited out the final few tense minutes in Orchard Park. “We were cognizant of it,” Steelers coach Mike Tomlin said. 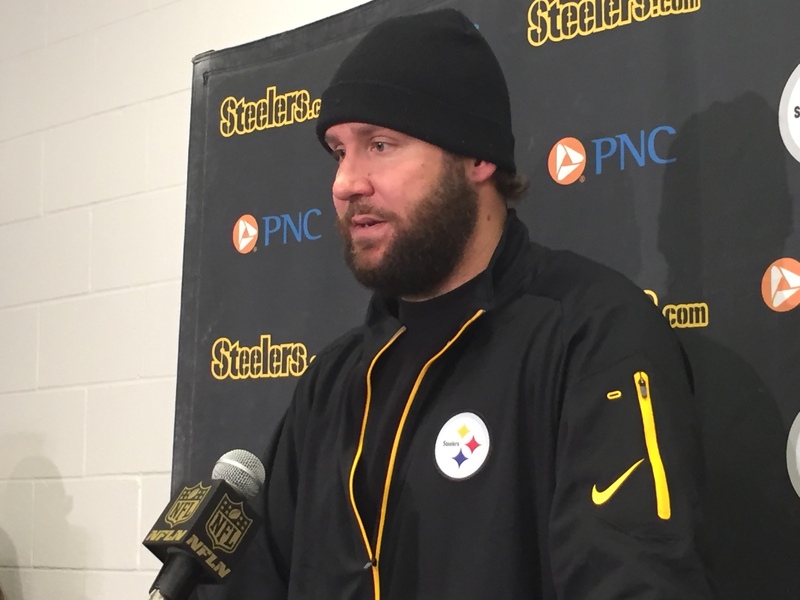 More than one Steeler said after the game that it was Steeler Nation that gave the team the news that they were going to the playoffs. “When the fans were screaming. When you hear an uproar like that you know something good is going our way,” Cam Heyward said. Roethlisberger said he wasn’t quite sure what was happening when the fans went into an uproar. I heard cheering and looked because I thought there was a fight or a Steelers fan beating up a Browns fan or something (laughter). I kind of assumed what was going on,” Roethlisberger said. Now the team can get ready for their second season. Last year it was one and done after a tough loss in the wild card round at home to Baltimore. If it sets up as it seems, they might have a shot to beat a division rival next weekend themselves. Be the first to comment on "A Big ‘Thanks’ to the Bills for Helping the Steelers Get in the Playoffs"